Whether you are new to selling on Amazon or a seasoned FBA seller, contacting and working with suppliers in China and other countries is a reality for getting your products manufactured, shipped, and delivered to be fulfilled by Amazon. 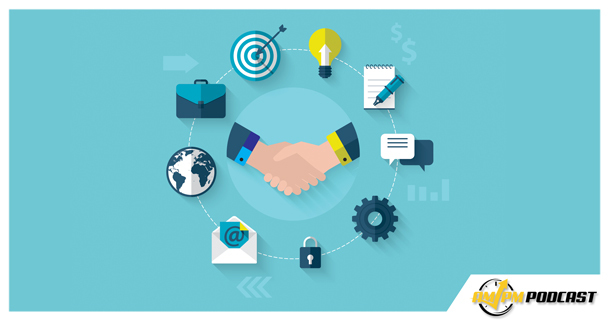 Knowing which suppliers to choose and how to maintain good relationships with them is an acquired skill, and can at times overwhelm new or inexperienced sellers. In this episode of the AM/PM Podcast, host Manny Coats interviews serial entrepreneur and 7-figure Amazon seller Manuel Becvar, creator of Import Dojo and AsiaInWest.com. Manuel is Austrian-born and now resides in Asia as an authority on dealing with manufacturers in China. Before starting his own business ventures, Manuel worked for many years as a project manager in Hong Kong for a European corporate retailer; during his time in Hong Kong, he dealt with Chinese manufacturers, product assortments, negotiations, and events in Asia. Manuel became interested in e-commerce soon after he started his own manufacturing company in Asia and wanted to help others make better decisions when choosing manufacturers in China. Soon after, he formed Import Dojo and Invest Asia to help clients to do just that. As an Amazon seller, he has two major brands: one does $60K to $70K per month and the other (though neglected a bit due to other projects) does $10K to $20K per month. Altogether, his business interests generate around $200K per month in revenue. 03:38 What Does Your Work Day Look Like? 08:00 What Alternative Sourcing Websites Would You Suggest? 08:30 How Can You Tell If a You Are Dealing with a Good Quality Supplier or Not? 12:33 How Do You Handle Suppliers That Are Moving Too Slowly? 17:17 How Do You Know You Are Getting the Best Price From Suppliers? 18:53 How Do You Tell Good Suppliers From Bad Ones? 25:00 When Is It Better to Use a Trade Company VS. a Factory? 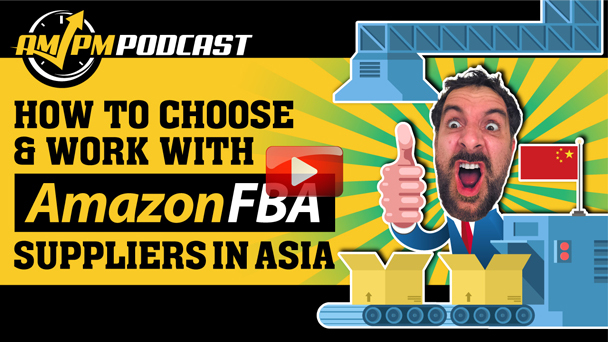 27:46 What Are Big Mistakes Amazon Sellers Make When Reaching Out to Chinese Suppliers? 31:01 If You Could Go Back In Time, What Advice Would You Give Yourself? 35:58 What is the Final Deadline to Ship from China in Time For Christmas? Enjoy the episode? If you found this episode helpful, be sure to check out our previous episodes for more insight into being a successful Amazon FBA Seller! Don’t forget to Like us and join the conversation with over 22,000 prominent Sellers on Facebook and subscribe to our podcast!